After around 18 months of planning, Lloyd’s Brussels has become operational. The office was established so the market has a permanent base in the European Union after the UK leaves the bloc at the end of March. It has 50 staff, including an executive committee and board, with a further 45 staff across the continent. Bruce Carnegie-Brown, Lloyd’s chairman, said: “Lloyd’s is ready for Brexit with Lloyd’s Brussels now officially open for business. Our decision to set-up an insurance company in Brussels has provided certainty to our partners and customers throughout Europe, reassuring them that they can continue to benefit from Lloyd’s specialist expertise and financial security post-Brexit. 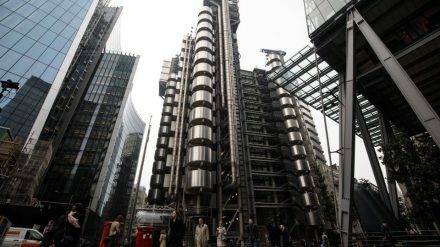 Lloyd’s Brussels is a subsidiary of Lloyd’s with 19 European branches, including in the UK, and is working with over 400 coverholders and 40 Lloyd’s brokers. Lloyd’s has assured that all underwriters will to pay all valid claims regardless of the result of the Brexit negotiations, and that it will be moving all legacy European Economic Area business to Lloyd’s Brussels before the end of 2020. The United Kingdom is set to leave the European Union at the end of March 2019.